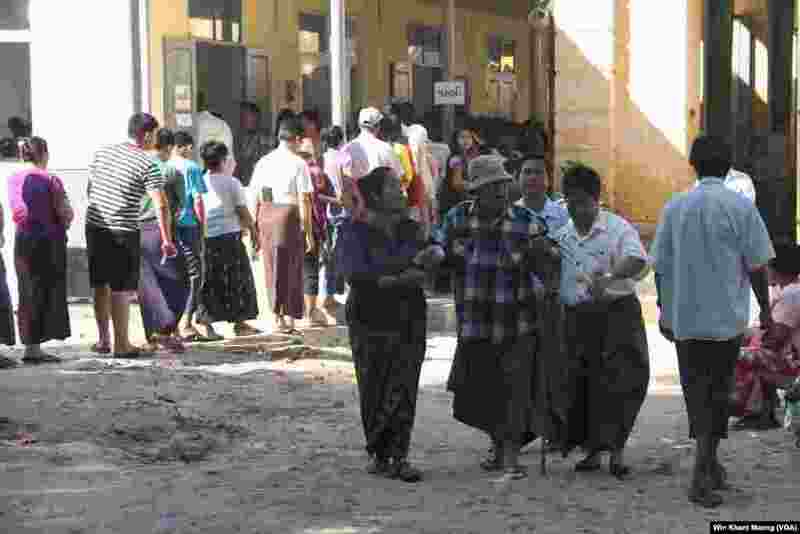 Voters in Myanmar went to the polling stations around the country to cast their vote on election day, Nov. 8, 2015. 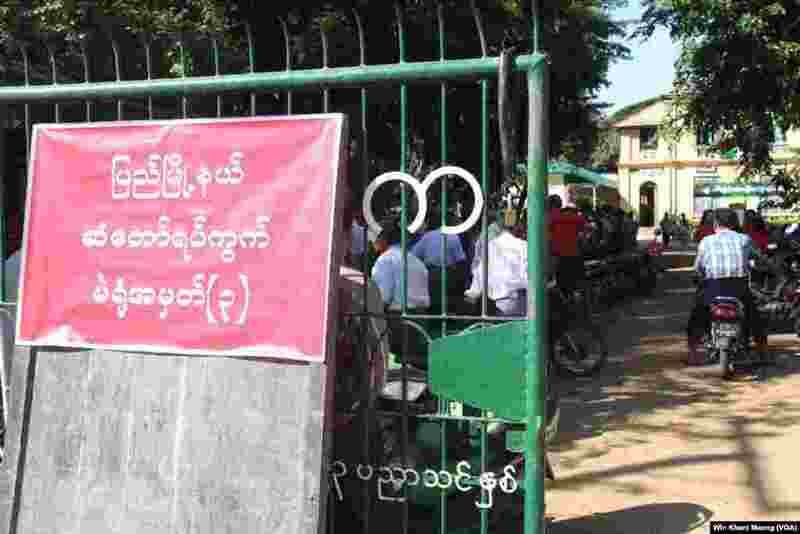 1 An entrance to a polling station is seen in Pyay Township, central Myanmar, Nov. 8, 2015. 2 Voters are seen at a polling station in Yangon, Nov. 8, 2015. 3 Even older people went to polling stations on election day, Nov. 8, 2015. 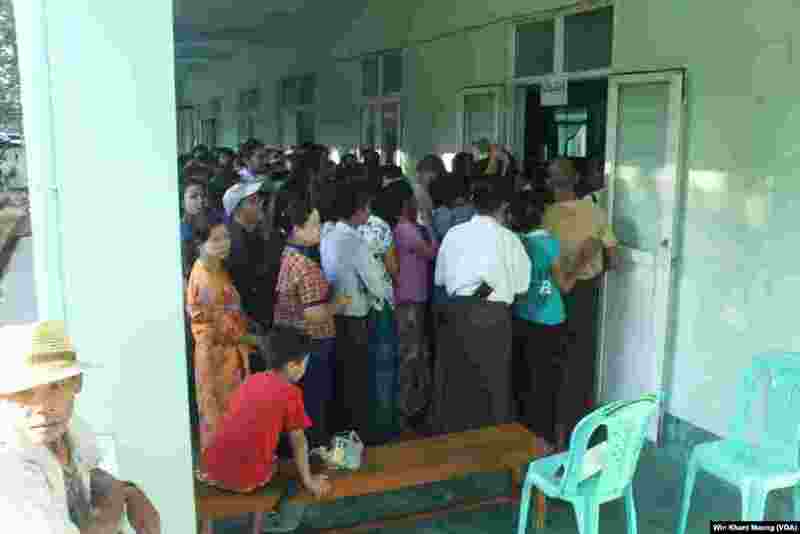 4 Voters lined up to vote in a polling station in Pyay Township, Nov. 8, 2015.